Chris Broad's Engrish nightmares! There was a weird problem with this episode, but if you're reading this it should be fixed. Sorry guys! Pete x Wanna say hi? abroadinjapanpodcast@gmail.com More Abroad In Japan shows available below, subscribe, rate and review us on iTunes, and *please* tell your friends! The first 48 hours in Japan: what should you do? A mere 172800 seconds in Japan: what would you do with them? Wanna say hi? abroadinjapanpodcast@gmail.com More Abroad In Japan shows available below, subscribe, rate and review us on iTunes, and *please* tell your friends! Natsuki makes his Abroad In Japan podcast debut with his searing-hot takes on the new emperor. Wanna say hi? abroadinjapanpodcast@gmail.com More Abroad In Japan shows available below, subscribe, rate and review us on iTunes, and *please* tell your friends! You can buy popularity in Japan! A poorly Chris gamely drags himself through another AIJ podcast, with wisdom to impart, and fevered sweat to...sweat. Wanna say hi? abroadinjapanpodcast@gmail.com More Abroad In Japan shows available below, subscribe, rate and review us on iTunes, and *please* tell your friends! Is Japan losing patience with foreign tourists? Park rules: leave your Japan as you'd like to find it, or something like that. Ranger Chris says so. Wanna say hi? 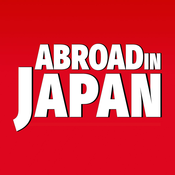 abroadinjapanpodcast@gmail.com More Abroad In Japan shows available below, subscribe, rate and review us on iTunes, and *please* tell your friends!